We live in a time that is nothing if not eclectic. And so it is with this new interpretation of age old traditionalism we call neo-Mediterranean. 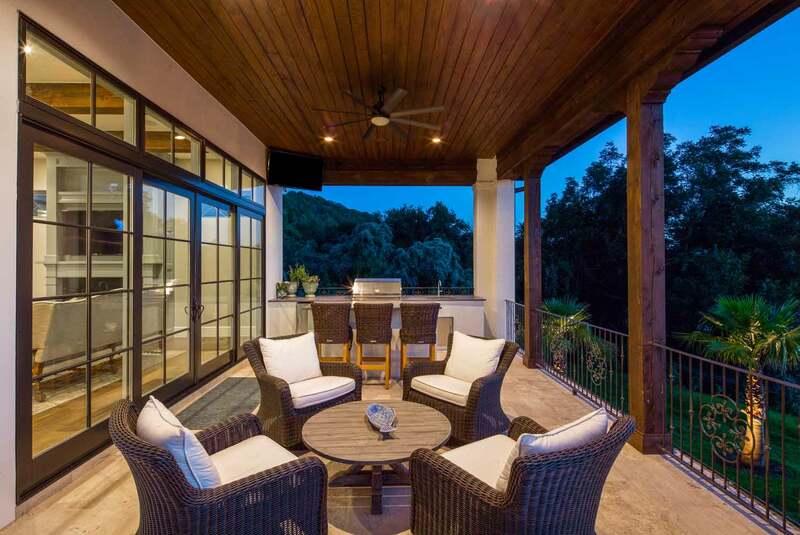 Spanish, Tuscan, Renaissance architectural influences have always felt at home in a Hill Country setting, relying as they do on stone and wood and iron and a palette that blends naturally with our oak and cedar environs. There is an elegance to the exteriors that reflects their earlier incarnations as demi-palaces or seaside villas nestled in the Italian Riviera, but with a contemporary twist: not quite so symmetrical; less massive with their entry facades. And in these neo-Mediterraneans, there is a rich medley of the refined and the rustic. 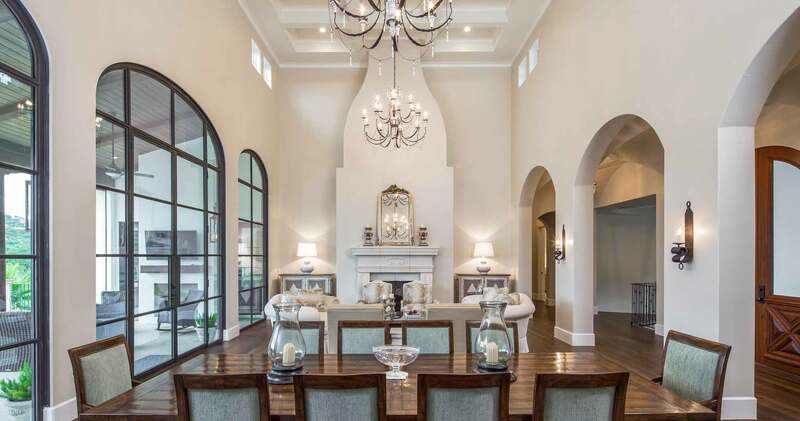 Graceful, arched galleries that open onto sumptuous living rooms with understated fireplace mantles and delicate chandeliers. 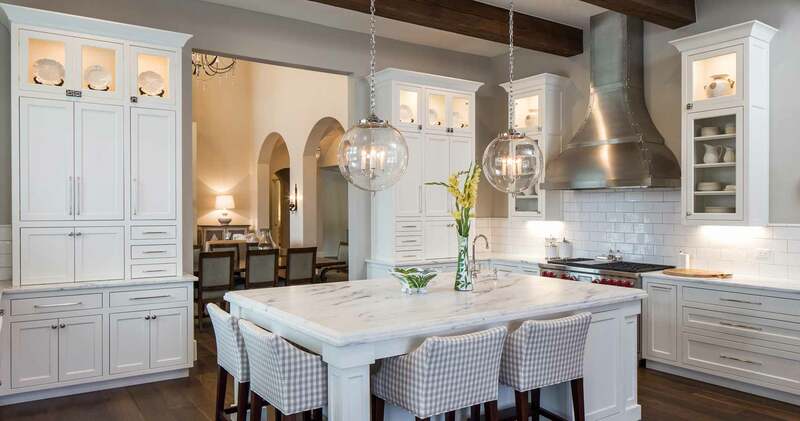 Then those give way to functional updates of the classic country kitchen, with rough-hewn beams and industrial-strength vent hoods – but all the conveniences of contermporary appliances. 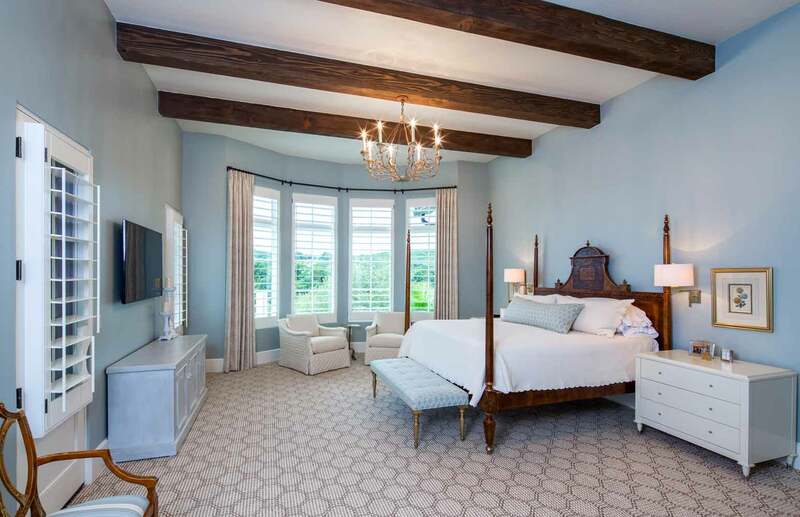 The master bedroom is expansive and marries high, airy ceilings with a bay-window sitting area protected by plantation shutters. 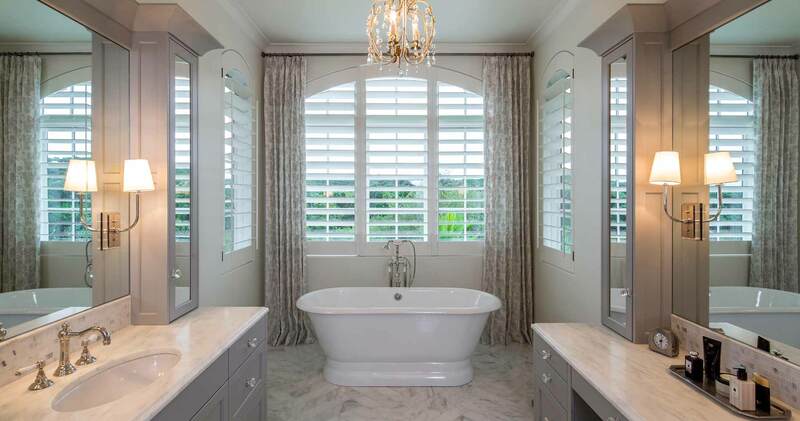 The master bath is glamorous with a classic free-standing tub and bygone-era fixtures. It’s the kind of place you can imagine drawing your carriage to a halt on the circular bricked driveway and heading ‘round back to an open-air veranda for an evening of al fresco dining.